Companies usually struggle when it comes to branding and product sales. Maintaining a good online presence, having brand visibility and leaving a sound impression in social media has become a top priority. And, one of the most efficient ways to do it is through an effective employee advocacy program. So, what exactly is employee advocacy? Employee advocacy is the promotion of a company and its brand by its employees. It can be done through social media, word of mouth marketing, mails etc. The main objective of this program is to motivate the workforce to become a company’s active advocates and build its brand reputation. Employee advocacy has been a marketing tactic for decades but has gained massive popularity in recent times. This popularity can be credited to the widespread use and influence of social media. Employees now have access to various platforms like Facebook, Instagram, LinkedIn, Twitter, and many more. These platforms have made it easy to share, expose and boost a company’s branding. 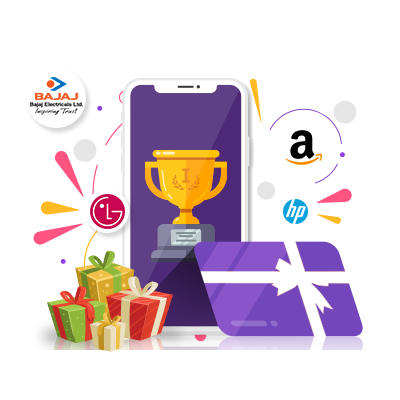 It has also made it easy to reach out and connect with their target audience. Who are these Employee Advocates? Employee advocates are the spokesperson for their company and the products they have to offer. They are responsible for maintaining the brand’s image and accelerating its growth. Employees are one of the best sources to grow your market. Anyone in the company can be an employee advocate regardless of their department. Brand awareness in social media platforms. Recommendation of company services to friends and family members. Building a strong marketing background for the company. 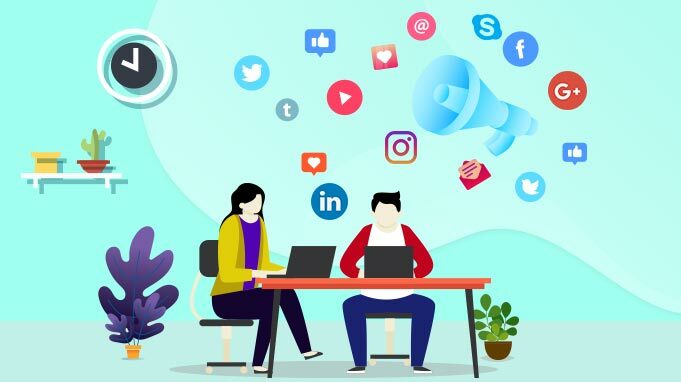 Employee advocacy has established itself as a promising strategy for companies to market about their organization and the products they offer to their target audience. There has been a significant growth of employee advocacy among the companies where they have adopted it for their own benefit. Benefits like, promotions and popularity, that help in global outreach and improving the bottom line of the company. As a company reaches its significant growth there is a need to put in place its brand exposure. You have used every resource that you could at your exposure to improve your brand name. What should you do now? This is where employee advocacy comes in and plays an important role. 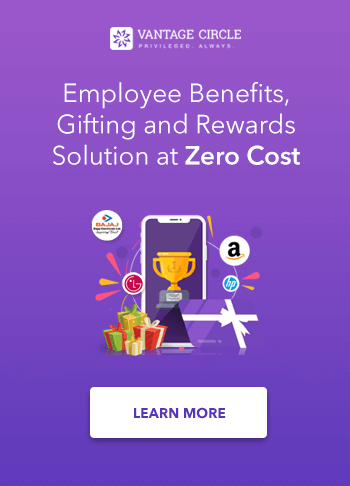 As discussed earlier, how the program works and what are its advantages, advocacy plays a vital role in the sales boost of the company.Incentives and perks helps the employees to get engaged in the program more. Engagement helps the less social-savvy individuals in the workforce get the necessary recognition. This helps them to thrive among everyone in the company. Employee advocacy helps an organization in their most important aspect, that is, marketing. We know how organizations spend millions of money in marketing. This program helps them to cut the marketing budget and save tremendous amount of money. Employees become active marketers where they promote the company and their products in social media platforms. This increases online traffic and revenue of the company. Hence, we can particularly say how important the advocacy program is and how much it signifies its value in a company. Employee advocacy usually starts with the active participation of an employee, where, the participation should be voluntary and out of genuine interest. An organization should not force its employees to be their advocates. Employees should themselves feel that the content is worth sharing and not because they are forced to do so. Pushing employees to share content might give you immediate results but might harm the initiative in the long run and will not produce the expected results. Before you start an employee advocacy program, the first step is to choose the right tool or platform. There are numerous employee advocacy tools available to ensure the smooth running of these programs. So, how do these tools help? These tools give you a structured platform where the employees are connected through their social media accounts like Facebook, Twitter, LinkedIn etc. Here, they are connected on a single dashboard which is controlled by a platform administrator. Once the administrator gathers and pushes new sharable content they can share the links on the dashboard. This informs the employees about the newly generated content which they can share on their personal handles of various social networking sites. This increases productivity of employees as well as improve the marketing performance of the company. But, for tools to be successful among the employees they must be briefed about how it works. You can organize sessions highlighting the importance of the tool and how it will help the advocacy program. One such tool is LinkedIn Elevate, which has been helping businesses successfully run their employee advocacy program. They make content sharing effortless and increases the visibility of the company. Elevate helps you see how your shares have been making impact and how your professional brand is building up. For an employee advocacy program to succeed, a company must set a few goals. Increase market reach with the help of social media. Your goals will reflect the outcome and results of the advocacy program. Once you understand how it works, it becomes easier to implement the program in your organization. The number of employees involved affects the employee advocacy program because it creates more social sharing. This grows the global social network and connections of the company. When more employees join, the chances of the program to gain popularity increases. This eventually helps in the long run thus making it more sustainable. Help the employees create a clean and complete profile in social media. An employee's detailed profile will help his audience on social media to engage and connect with him and his work easily. A detailed profile provides the required information about the company. This leads to increase in audience growth. Once an interested candidate goes through the complete profile, they might feel inclined to contribute towards the company’s vision and goals. This, in turn, leads to the recruitment of top talents around the globe which can help in a company’s growth. It’s important to explain to employees about the benefits that they will get while being on the program. Incentives : A company can provide incentives and perks to those employees whose active participation helps the advocacy program to grow. Career Growth : Sharing company content often helps the employee build their credibility and personal brand. They are often thought of as an important part of the company by the target audience which gives them an opportunity to influence others. The organization should trust the employees about what they are doing and build on transparency. The members should be given the freedom to share their content, which helps to create an open culture. This builds the advocacy program in steps and creates a foundation. A strong culture of trust and loyalty built upon its employees will lead to better chances of a successful advocacy program. Investing time and money on the contents helps the cause as well. Updating blogs on a routine basis should be one of the prime targets. Blogs help the buyers to understand what products you have, which might interest them in investing in the company and increase a company’s revenue. Organize events making aware of the employee advocacy program among the new recruits. Explain them the benefits and the effect it will have on their individual performance as well as the company’s exposure. This increases network and marketing as well. The number of employees will increase the size of the social network of an organization, which will lead to market boost and product popularity. Let us consider a company with 100 employees who have been successfully running the advocacy program. Because of a wide social network, the number of shares will increase which will help in network exposure and improve marketing. This, in turn, increases sales and employers branding. But when compared to the company with same number of employees who have not opted for the advocacy program, you will see a huge difference. They will have less social network influence and less branding. The reason behind the success of an advocacy program is that an organization should remember, a buyer trusts employees more than the brand. And the more trust you gain, the more your company will grow. Employee advocacy has the potential to add to your employee engagement efforts. It helps to bring employees closer to the company and make them happy at their workplace. It also gives employees the power to influence others and become leaders in the marketing world. With incentives and perks provided, employees are much more likely to be active in the advocacy program. This gives the necessary outcome that an organization requires. By 2025, 75% of millennial will join the workforce. As the majority of the millennial are already in social networks, it will help the organization to influence others to join the organization and increase its network. Employee advocacy helps build networks and connections which in turn helps attract customers. When an employee shares about a job opening available in the company, people will go through the article. If the content is good, more people will share it. This will help in increasing the network and growth of the company. This makes recruitment easy of new employees in the organization. Employee referrals are one of the most effective ways to recruit top talents. Referred employees are easier to hire, perform at their peak and stay longer in the company. It is very important that they are convinced to back the program. This helps as they are responsible for sanctioning the required tools needed for the program. Another challenge that usually comes up is that the administrator does not usually give enough importance to the advocacy program. This happens as they know very less about it and do not want to get involved around it. So, it’s vital that they understand what actually it is and how it is beneficial for everyone. Furthermore, companies need employees participation. It is important to get them involved. This is essential for the success and sustainability of employee advocacy. Employee advocacy program needs to be in an organization for a long period of time for it to succeed. Sustainability is the key of the program in the long term. For an employee advocacy program to continue in the long run, it is essential that the higher executives also get involved in the program and support the program. Their involvement will give the employees a sense of security and boost their confidence in what they do. The more involved the executives are in the program the more positive results the employees are likely to produce. In the long run, the advocacy program might get dull and employees might lose interest. So, what should you do about it? The answer is simple. Keep the employees as interested in the program as they were in the start. To do this, an organization can double the incentives to keep the enthusiasm. These incentives can range from corporate benefits, workplace recognition or even might be some form of bonuses. It may look like a lot of work but having an effective employee engagement program in place will help the cause in the long run. A company can appoint an administrator to check up on the daily work and update about the progress. This can be achieved with the advocacy tools present. Admin can schedule tasks in the advocacy tool for the employees to share content and set a particular window about when to finish the task. These tools help the admin to keep analytical track about the shares and the employees who have shared the most number of articles. To build motivation further, companies can invest in gamification and organize competitions and award employees with the most shares. This will encourage employees to stay updated on the work needed to be done and thus help them become better advocates. To launch the program, first set everything in order and gather the best contents for the employees to share. Make sure that the participating employees are active and ready to share contents. Once you schedule a launch do not expect the immediate results and give some time for the program to run. With time you will see the positive results it provides to the company. Employee advocacy is a program which needs a tremendous amount of patience and effort to grow. This growth can flourish with everyone’s participation in the company. One should not expect results right after implementing it. We all know that “Rome was not built in a day”, so, give the program some time to run and stick with it. You will see the positive results and feedback it generates for the company in the long run.